SAN FRANCISCO -- San Francisco Bay officials are considering what they say are the toughest emission rules in the nation for oil refineries. 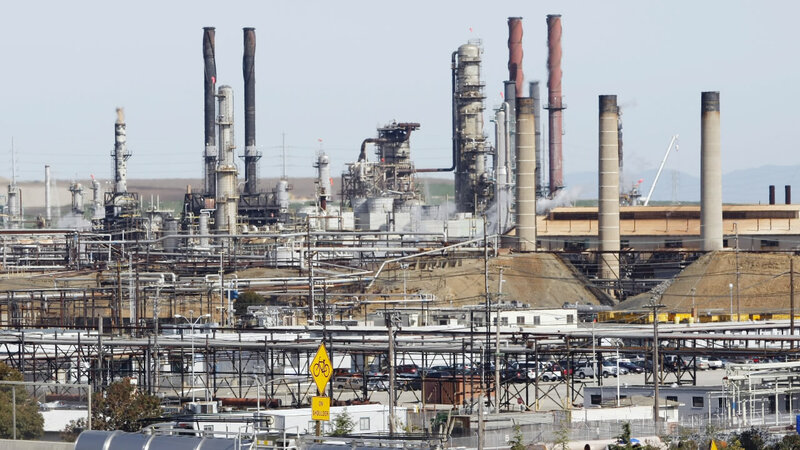 The Bay Area Air Quality Management District heard Monday from the public and from managers of the area's five petroleum refineries about the proposed tightening of pollution standards. Air quality officials say the five refineries collectively are the biggest industrial polluters in the Bay Area. The air board is seeking to reduce refinery emissions 20 percent by 2020. Managers for Shell and other refineries told the board Monday that tighter rules would cost them hundreds of millions of dollars. Air quality regulators maintain the actual cost would be $20 million a year, which they say is less than 2 percent of refineries' annual profits. The board is scheduled to vote Dec. 16.